As always, a Queen recording has something for everyone. Not so much as always, 1989's "The Miracle" begins the revelation (subtle at the time) that days are numbered and getting darker. The tours were over, Freddie's image was more gaunt, and much was done (including more facial hair than usual) to obscure the real person behind it all. Not a word was spoken about it, and otherwise, everyone acted the same as always. Which is even more of a chilling thought. The unknown is always more provoking than the black and white. This was where Freddie's tragic (UNBELIEVABLY tragic) bout with AIDS started to really come into play. The next album, "Innuendo," would take all of this, including the depth of the music, to an even HIGHER level, though barely even thought possible. That does nothing to take away from the fact that atleast one "70's band," albeit for the worst reasons, flexed its biggest muscles in future decades. "The Miracle" is epic. Plenty of music for all moods, from the obligatory party songs in the beginning (such as "Party"), to the confused confrontations with the idea of death ("Was it All Worth It"), and everything in between. 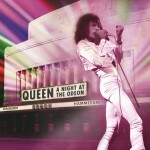 Queen already had established themselves as a band that showcases emotion of the highest levels, and now that special talent would be put into overdrive. "Breakthru" starts with a wonderful trademark "Freddie Choir" but quickly breaks into a rushing, impatient, pressed song of just wishing that one thing would happen to make life seem worth living. Excellently written. "I Want It All" says the same message, but more blatantly. In retrospect, it's easy to see from this music, that Freddie felt short on time. That's just too depressing to dwell on. So, what is there besides gutwrenching lyrics? There is MUSIC!!! 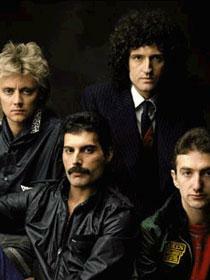 I always counted on Queen to be a bit better than just a regular "rock band." And it doesn't take long here to maintain that glorious reputation. The swirling 64th notes in the bridge of the previously mentioned "I Want It All" confirm Queen as masters of arranging and playing. Plus, the song rocks as good as anything. Heart and brains, heart and brains! The title track is one of the top Queen songs ever written, thus of course translating into one of the better songs ever written, even if there is much competition in that department. Orchestrated strings, sound effects, entire sections morphing into others, INCREDIBLE guitar work - what more can you possibly ask for? Only two songs, "Rain must fall" and "My baby does me", don't keep even with the supreme quality of everything else. Which really isn't saying that much, as I challange anybody to make an album half as good as this in THIS day and age. I still respect those two songs, however, as even in the late hour of Queen, they never stopped experimenting with diversity. So one can not dare call it filler. Check out the highly innovative "Chinese Torture" - the band has some of the highest creativity possible. 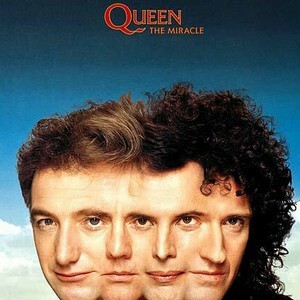 This album is pretty close to perfection, and the next album "Innuendo" would take care of that. You can put "The Miracle" on and zone out, getting lost in the colorful musical textures of the substantial lengthed recording. You can do this time and time again, as it never wears out. That's what good music should do for you. Queen was and is as close to "Gods" that you can really get away with calling rock stars. Music must have been put on earth for some sort of divine purpose, in my belief, so anyone who can channel that purpose into execution and reality can't be too far off the page. God Bless You Freddie, you're still here every day, as far as I'm concerned.